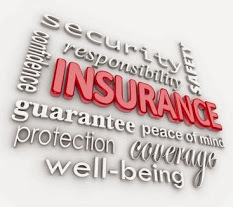 While there are numerous types of insurance policies and insurance coverage within those different policies, insurance can, generally, be categorized in one of two forms as follows: (1) “First Party”; and (2) “Third Party”. Some policies fall within one or the other and some insurance policies have aspects of both. Depending upon your the laws of any particular state, having “first party” vs. “third party” coverage can make a big difference in whether or not you can sue the carrier for “bad faith” in the event of a wrongful denial of a claim. Property, Fire, Casualty and Marine: Various types of policies that protect against damage to property from so-called “perils” like fire, lightning, windstorms, tornadoes, earthquakes and other similar disasters. Most states have uniform insurance codes which set forth what language may be used to include or exempt coverage under these types of policies (e.g. California Standard Fire Insurance Coverage Code). Life Insurance: Insurance providing for payment in the event of someone’s death. “Term” life insurance covers for a specified period of time and has no residual cash value. “Whole” life insurance covers a person for their entire life (assuming payments of premiums) and build up “cash surrender value” over time. Health Insurance: Insurance for payment of medical expenses for an individual or group. Disability Insurance: Intended to replace wage income in the event of a medical disability (either “short term” or “long term”). Title Insurance: Guarantees the lawful transfer of rights to real estate or personal property. Sureties and Bonds: These are meant to guarantee performance of a particular activity or transaction. General Liability: Coverage for losses or damage related to specified business activities such as manufacturing, landlord tenant issues, product defects, or other harms caused in the operation of a commercial enterprise. Workers Compensation: Insures for injury to employees of a business that occur in the “course and scope” of their employment. Professional Liability: Oftentimes called “malpractice insurance” or “errors and omissions” coverage, this covers losses related to the rendering of professional services. Directors and Officers Liability: This covers for losses stemming from alleged acts or failure to act on the part of a corporate officer or director. Employment Practices Liability: This covers specified employment claims such as wrongful termination. Homeowner Insurance: The typical homeowner’s policy has aspects of “first party” coverage for payment to the property owner or purchaser of the policy for “perils” that can be either governed by statutory provisions, specified or included. In addition, homeowner’s are covered for liability to other people (coming onto the property or, sometimes, off-site) for bodily injury, wrongful death or property damage or loss. Automobile Insurance: Auto insurance also typically has aspects of both “first party” and “third party” provisions. First Party Examples: (1) Medical Payments Coverage: Covers medical expenses of the “insured” related to a crash; (2) Uninsured/Underinsured Motorist: Covers medical expenses and pain and suffering damages sustained by the holder of the policy in the event they are injured by a person driving without insurance or with coverage limits of less than the limits of the policy; (3) Property Damage: Covers for repair or replacement of a vehicle; (4) Peripheral Coverages: Such as towing expenses, loss or damage of personal property inside the vehicle, etc. Third Party Coverage: Includes payment to others for personal injury or property damage caused by the insured or other covered parties. What is the significance of “First Party” vs. “Third Party” Insurance Protections? As I have pointed out in other posts ( see here ), insurance companies have a duty to settle all legitimate claims as established by either statute or case law in every state. However, not all states allow a “bad faith” action to be filed by a “third party” who is a victim of an alleged wrongful denial of a claim. This is because, due to a contractual and so-called “fiduciary” relationship, insurance companies have a higher duty to protect their own insured than to protect third parties. Some jurisdictions allow the third party to bring a direct action against the insurance company and others require that the first party (the insured) assign these rights to a third party prior to the third person being able to bring an action for so called “bad faith” denial of a claim. The most common example of an assignment would be a judgment against an insured for an auto claim or other action where the judgment amount exceeds policy limits. In jurisdictions that only allow bad faith actions by third parties via assignment, the person sued with the excess judgment against them could assign their “bad faith rights” to the third party with the judgment and allow them to file suit against the insurance carrier.